Perched at the top of the tiny Verduno village, on the northern edge of the Barolo zone, Castello di Verduno is one of the historic estates of Barolo. The castle was originally built in 1500, and it is here that nebbiolo was first vinified in the style that would become Barolo as we know it today. Lifted notes of blackberries and red cherries with new leather and dark spice, over a core of tight minerality. This is barbera in a classic, un-showy style. Aromatic, savoury and herbal. Pomegranate, redcurrant, rose petals, pepper and mint lift from the glass, over a lean, silky structure. A fantastic expression of this quirky Piemontese variety. Basadone is the local name for the wild poppy that is pictured on the label. It loosely translates as ‘lady kisser’, thanks to its reputation as an aphrodisiac. Classic nebbiolo nose of redcurrant, strawberry, rose petals, and sandalwood over fine-grained tannin and lively acidity. A delightful example of traditional yet accessible Barbaresco. Soft, open and expressive, this is a Barolo that can be enjoyed with minimal cellaring. Perched at the top of the tiny Verduno village, on the northern edge of the Barolo zone, Castello di Verduno is one of the historic estates of Barolo. The castle was originally built in 1500, and it is here that nebbiolo was first vinified in the style that would become Barolo as we know it today. Bought by the Burlotto family in 1909, they have restored the castle and the winery to its original glory. Today Gabriella Burlotto and Franco Bianco run the estate with their daughters Giovanna and Marcella and oenologist Mario Andrion. 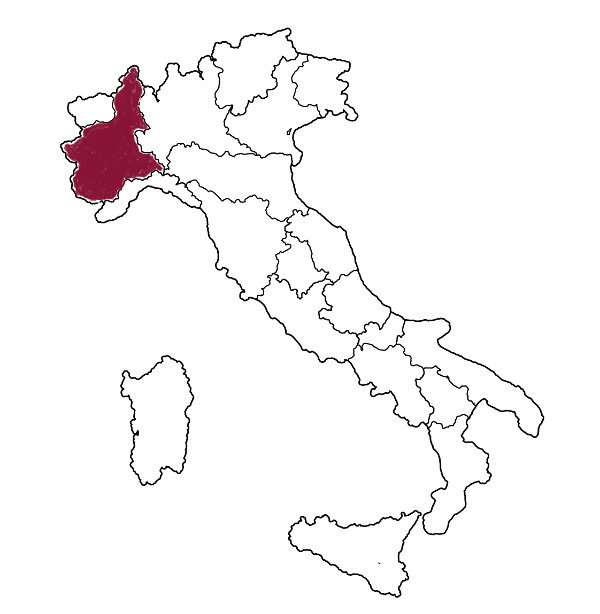 Covering 10 hectares of vineyards in both the Barolo and Barbaresco zones, Castello di Verduno have prized holdings in two of the most famous crùs: Monvigliero in Verduno (Barolo) and Rabajà in Barbaresco. They are also dedicated to the pelaverga variety, local to Verduno, which produces light-coloured but very distinctive red wines with fragrant pepper and spice characteristics. Thanks in part to their pioneering efforts with single-vineyard plantings, it was granted its own appellation, Verduno DOC, in 1995. With all of this history behind them, Castello di Verduno could not be anything other than a traditional producer, though the wines are never rustic. The vineyards are farmed organically, with meticulous care in the vineyard and the cellar. Mario uses only native yeasts for the fermentation, and favours minimal use of sulphur. Long macerations and use of large old barrels are employed for the top wines, while the varietal bottlings see mostly stainless steel to retain their character. These are poised, vibrant wines that capture the essence of Piemonte.